Google on Friday announced a useful update to its search product: the addition of medications. If you search for a drug, the company will now display information about it on the right-hand side, including key facts such as drug class, related medications, brand names, side effects, pregnancy risk, what the drug may treat, and so on. Google will also include a list of other drugs that users who searched for this drug ended up searching for. 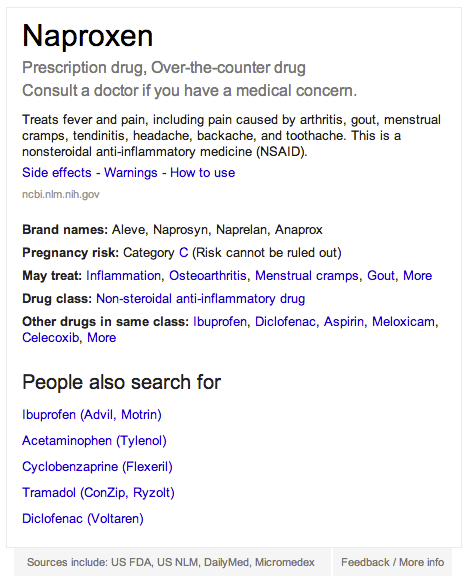 While the feature isn’t yet available for me, the company included the following screenshot as an example of a search result for Naproxen. Here at TNW, we think this point needs to be strongly reinforced. 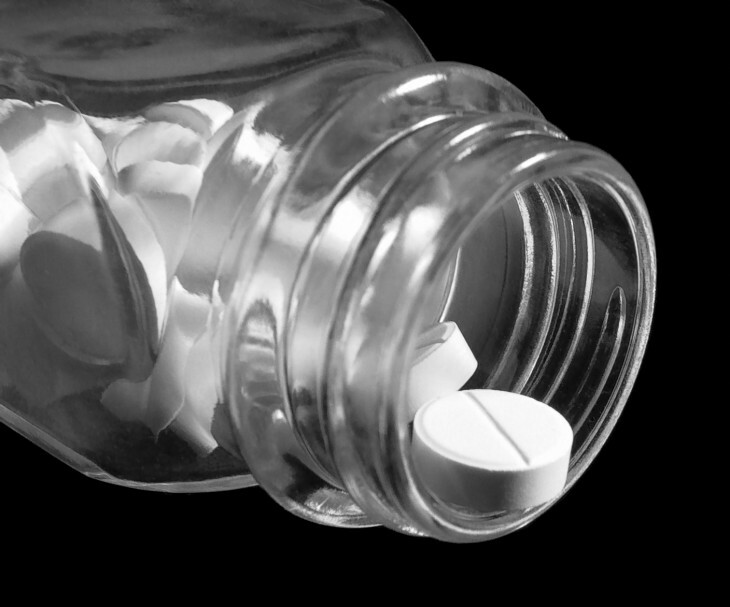 Searching for information about a drug doesn’t constitute sufficient research, and any decision you make about medications should occur after you first consult your physician. The medications update is part of Google’s Knowledge Graph project, which the company says it is doing to “map out billions of real-world things, from famous artists to roller coasters to planets (and now medications).” If you’re unfamiliar with it, this is the right-hand side section of Google’s search results that often includes additional tidbits, sometimes key facts and other times information from Google+ (try searching for The Next Web). While Google has included medication-specific features in its search product before, the addition of drugs to the Knowledge Graph is interesting because it means the company is okay with surfacing information about the touchy subject. Google has a strict policy when it comes to advertising for healthcare and medicines, so I’m sure it has taken special care to keep things strict when it comes to this new feature as well. That’s probably why it was launched separately, and so late after the Knowledge Graph first rolled out a few months ago.